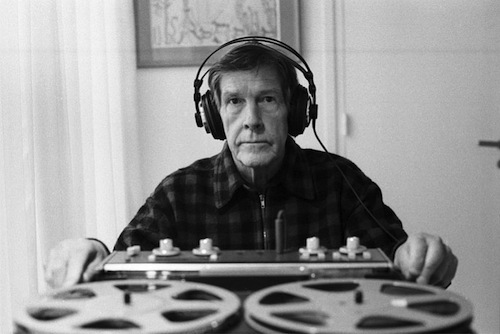 I’ve been catching up with the John Cage Prom that I wanted to go to last week. I like the idea of randomness that he creates his music with, for example in one piece the musicians are told which note to play and the time frame in which to play it but not when to start, stop or how long to play it for. In another piece 6 people with cassette players choose which tape to insert from a selection of cassettes. I also like the idea of amplified cacti!!! It’s my daughter’s birthday today – not that I’ll hear from her or get to see her but I hope she has a good time anyway. It’s also fast day number 4 – the only thing that’s not getting any easier is the tea and coffee thing. I can cope with tea and coffee without milk but without sugar I might as well be drinking warm water!!! My total calorie intake for the day was only 300 – it would have been higher if it wasn’t for what happened when I got home….. So I’m driving home and Sarah rings me – she can smell gas! I say that as I can’t smell it in the car she should decide what to do. When I arrive home I think I can smell it too but she’s already phoned it in. When the gas man arrives he says he will start by checking our meter. So we had to empty the entire cupboard under the stairs to get to it. He took one look at it and decided it had to go but he had to ring for permission – British Gas who we have Homecare with and Eon, who came to carry out a “safety check” have both said the same BUT wouldn’t do anything about it, I wasn’t hopeful. However he got the go ahead and removed the old meter which he put in the front garden while he brought the new one in. A few minutes later it had gone!! He tested the system and told us we had a leak but while he was doing that there were several other calls from people in the street reporting smelling gas. He was just capping off the system when his colleague banged on the door – they had found where the smell of gas was coming from. Apparently an old lady who lived over the road and suffered from dementia had been taken into a care home two months ago. Someone had broken into her house, ransacked it and ripped up all the floorboards and removed all of the copper piping in the house INCLUDING the ones for the gas supply. The house was steadily filling with gas. So the Police had to be called and they had to evacuate the houses either side of the one full of gas and the ones opposite too. They also had to cordon off the street to stop cars driving done the road. They gained entry to the house and opened all the doors and windows but it was after 11pm when people were finally allowed back into their homes. Ironically even though the problem wasn’t in our house we ended up without any gas!